Martin Dubbeling is an urban planner and urban designer specialised in sustainable urban design. In 2013 he founded Connecting Cities, office for research, consultancy, design and communication in sustainable urban and regional planning. 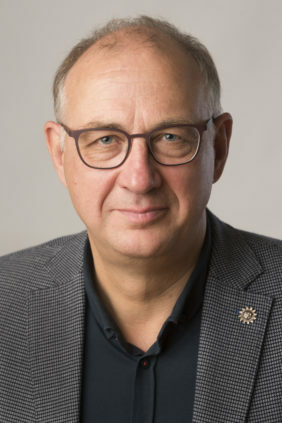 Martin is an active and senior practitioner in spatial planning, urban planning, landscape architecture and the environment in the Netherlands and internationally. Furthermore, he is one of the authors of the award winning and best selling books ‘Sustainable Urban Design, Perspectives and Examples’ (2005) and ‘Sustainable Urban Design, The Next Step’ (2010). As Vice President and Program Manager of the Urban Planning Advisory Teams (UPATs) of ISOCARP (2010-2018), he organized UPAT workshops in Singapore, China (Wuhan, Nanjing, Shantou, Ningbo, Guangzhou), Russia (Perm), for the United Nations Development Progamme (UNDP) and UN-HABITAT in Gaza and the West Bank, Norway (Bodø) and South Africa (Durban).